I’m about four months past due for an update, but I’ll go with the excuse that I’m busy with grad school and I should be thankful I get time to update at all. In mid-2016 I was asked to support the Atlanta bid for LOG 37 by creating the website and making the LOG 37 teaser video. 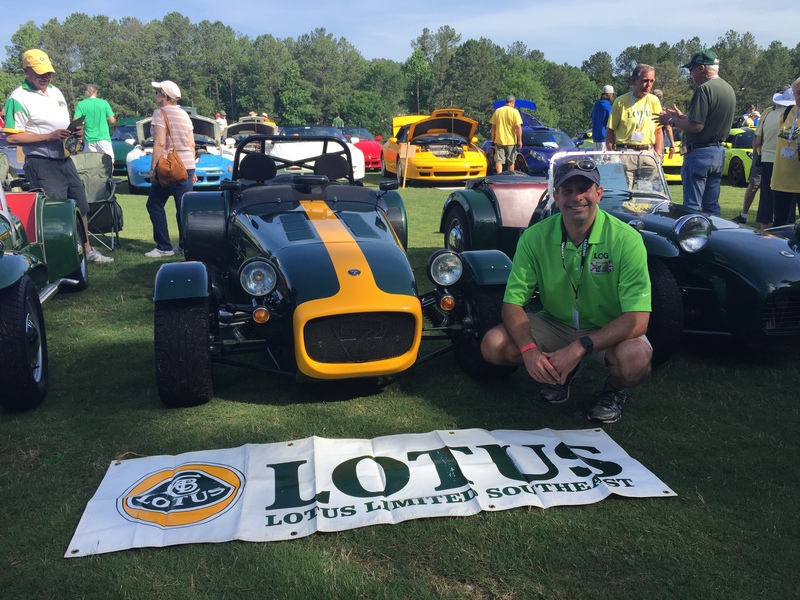 Atlanta didn’t happen; instead the Lotus Ltd. board elected to put the event in Birmingham, so I joined that effort. After a years’ worth of planning LOG 37 happened in late May 2017. I got the opportunity to make the LOG 37 website, which has now been taken down (it was pretty cool), and to make my first video. You can see the Lotus LOG 37 trailer here. 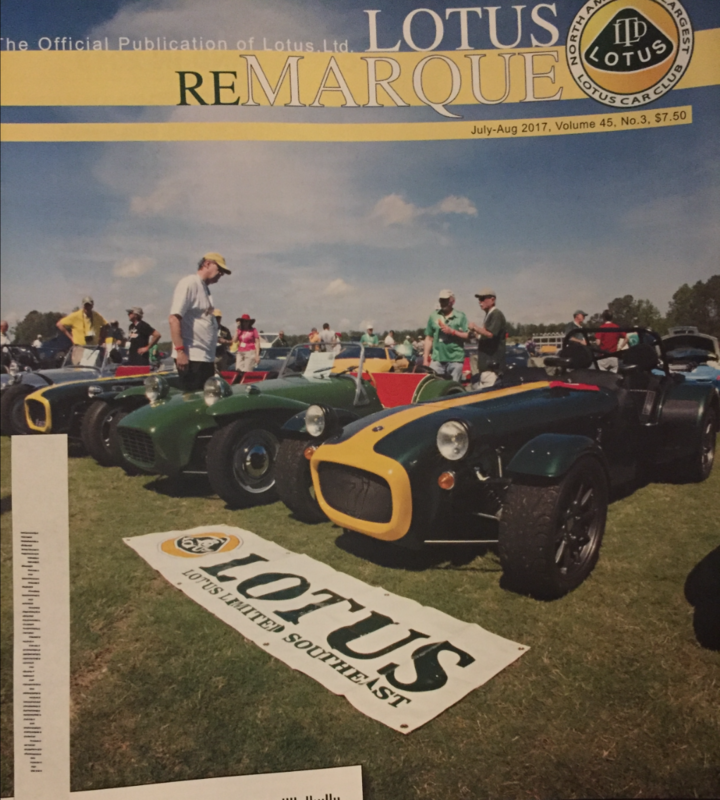 Shortly thereafter I wrote an article for the Lotus ReMarque and it was published! I’m officially a published author in a magazine… sweet! I had a second article published a month or so later as well. 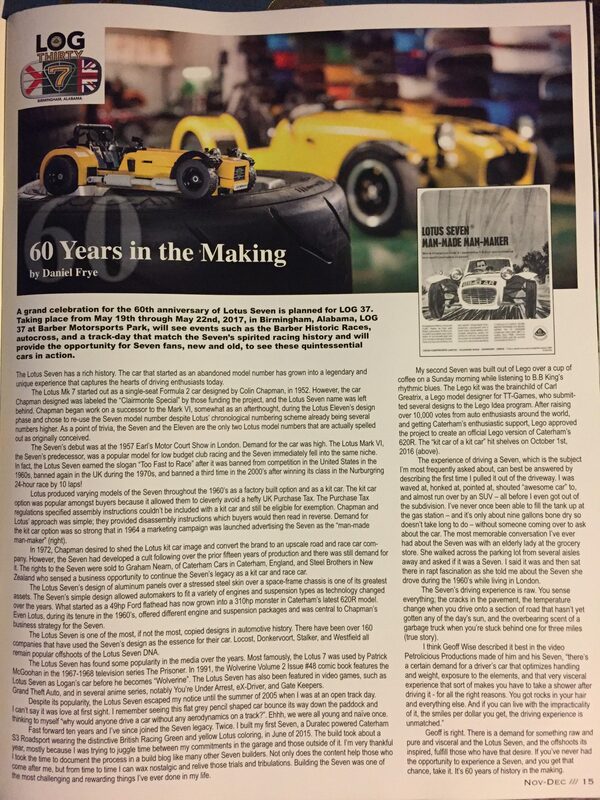 What’s special about LOG 37 is that it was the 60th anniversary of the Lotus Seven. 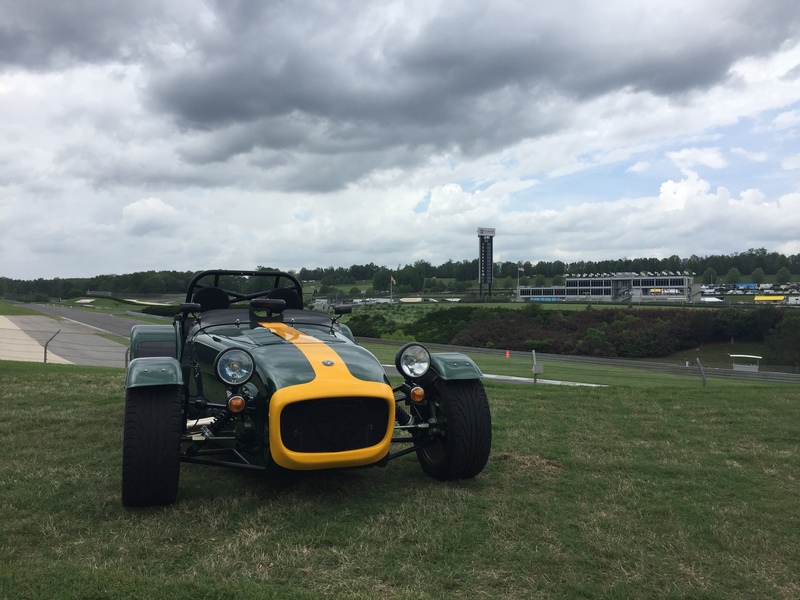 While technically not a Lotus, the Caterham Seven is the direct descendant of it, so felt it was fitting for the trip to LOG 37 to be my first road trip in the Seven. The drive to LOG 37 was a two hour drive from Atlanta to Birmingham, largely on the interstate, and was the furthest I’d gone in the Seven since “finishing” the build in June(ish) of 2016. Total mileage was around 1,100 miles before heading out. The drive to Birmingham was interesting. I left Atlanta around 7:30 am, dead center in the middle of morning rush-hour Atlanta traffic. Driving the Seven in rush hour traffic is … interesting. First of all, you’re smaller than everything else out there. Second, everyone else is frantically scrambling to get to work. Third, you’re just hoping you don’t die. It’s not a comfortable feeling. But I got out of Atlanta without issue and was soon headed down I-20 at a good 70mph clip. Turning on some big hair 80’s hits on the ear phones, which are necessary to keep the wind noise out and music in, while cruising through the Georgia countryside with the wind around you and sun at your back is very serene. I can’t describe the feeling of contentedness adequately but it’s almost a dreamlike state where your surroundings blend into a misshapen blur. And the first time an 18 wheeler passes you and you feel the Seven lurch towards the side of the road, buffeted almost out of your lane by the turbulent vortex of displaced air coming off the cab of the truck, you’ll pretty much freak out and feel your pulse increase by about 100. It’s an uncomfortable feeling the first 10 times it happens. And then… it’s not such a big deal. You just kind of get used to it. I’m glad I had the foresight to wear a full face helmet though – there were numerous times where they were throwing up small debris from the road. 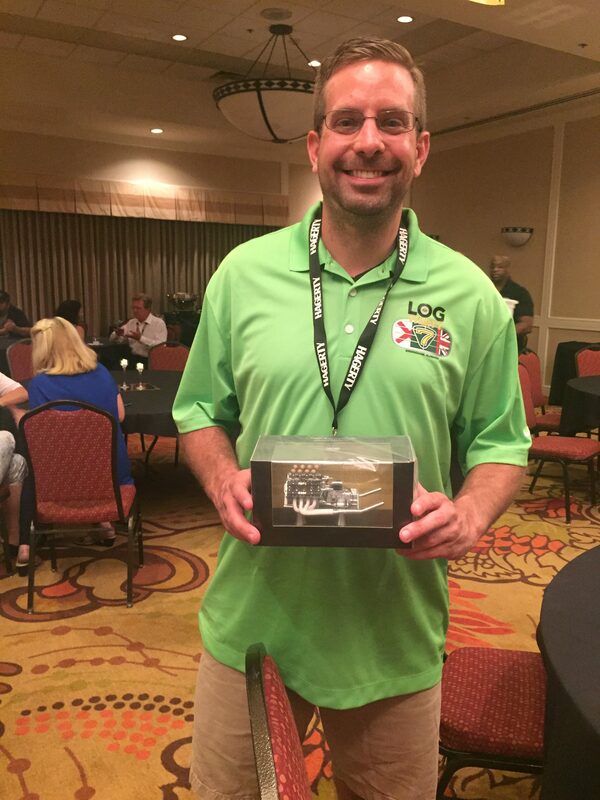 My first stop was Talladega Superspeedway where the LOG 37 attendees were doing “parade laps” for the day. In short, it was awesome. 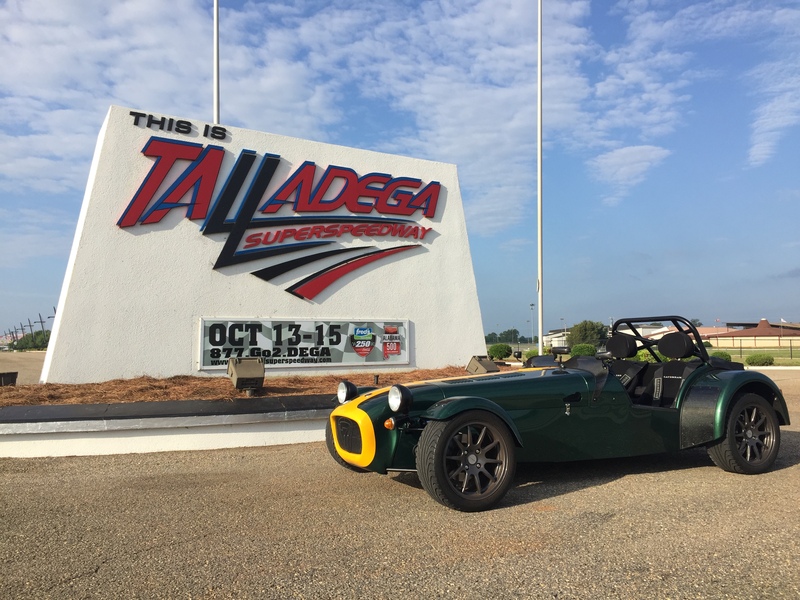 I thought the experience of the trucks and traffic was exciting, but getting on Talledega with its 33 degrees of bank at 120mph was even more so. I give mad props to anyone who elected to ride with me…. considering one of the issues I found post-build was that I hadn’t torqued the brake bolts down. After the hot laps in the morning, the afternoon autocross started. I had never done autocross before so this was a net new experience. Frankly, the Seven, is awesome. I mean… awesome. The cornering, the power coming out of the turns, awesome. And of course I was super stoked later to learn I won the Caterham class. I was 8th of 54 entries overall and about 2s off the 1st place Lotus 211 – not bad for the first time autocrossing! Saturday was the annual LOG 37 concourse and it turned out awesome! 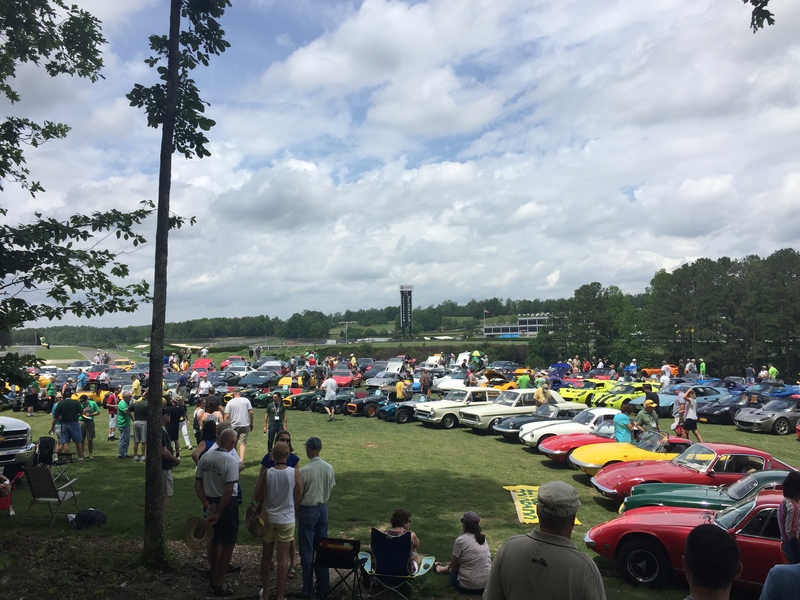 I’m not sure how many cars we had, but I managed to snap a few pictures of the Seven during the event a few artsy photos with Barber Motorsports Park in the background. About mid-afternoon I headed back to the hotel to shower and prep for, what I thought, was the coolest part of my LOG 37 experience. I had offered to present my experiences of building my Seven at the event, which seemed logical since it was the 60th Anniversary and the Seven was the marquee car for the event, and the committee took me up on the offer. 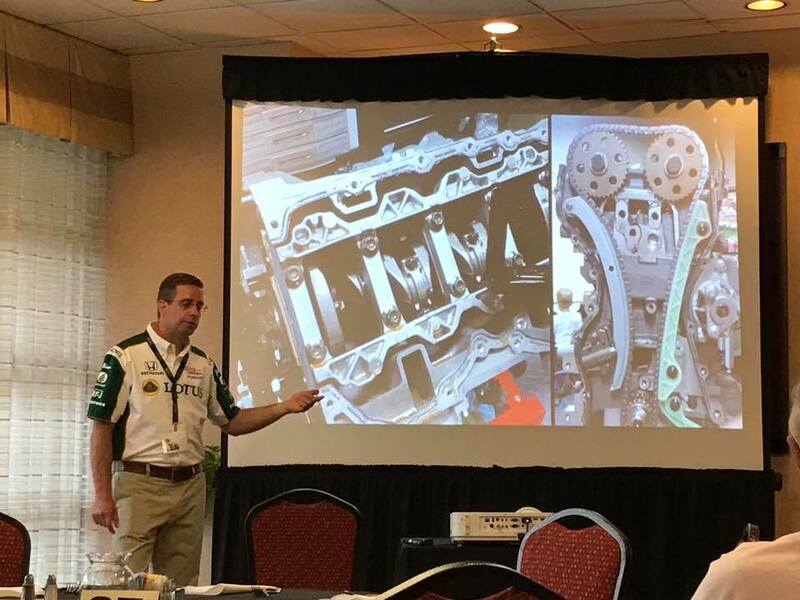 One bonus of having the car you built at the event you’re presenting at is that you get to use it as a live prop. Like… I pulled it into the ballroom. 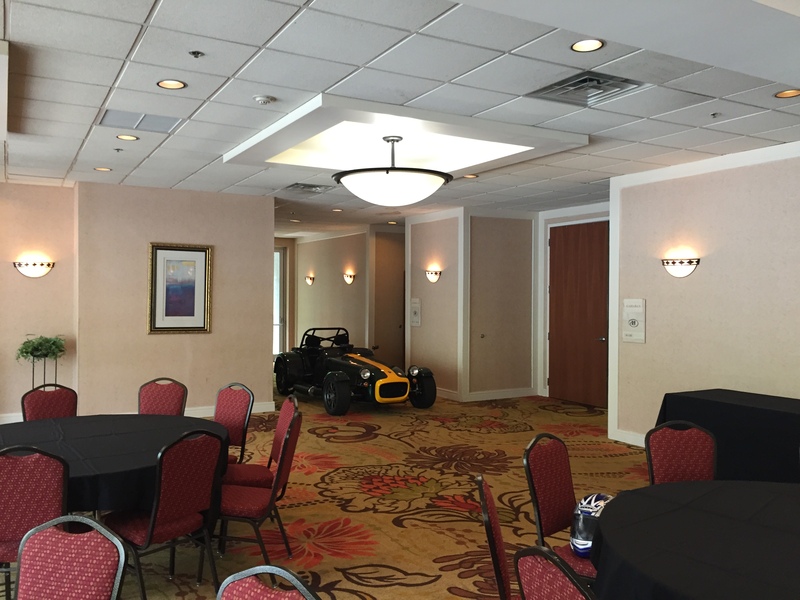 There’s a surreal experience about putting a car in a building that isn’t a garage. It feels weird. Especially since that seeping oil problem hadn’t really been taken care of… I was a little nervous about carpet stains (all’s well that ends well, no oil stains). 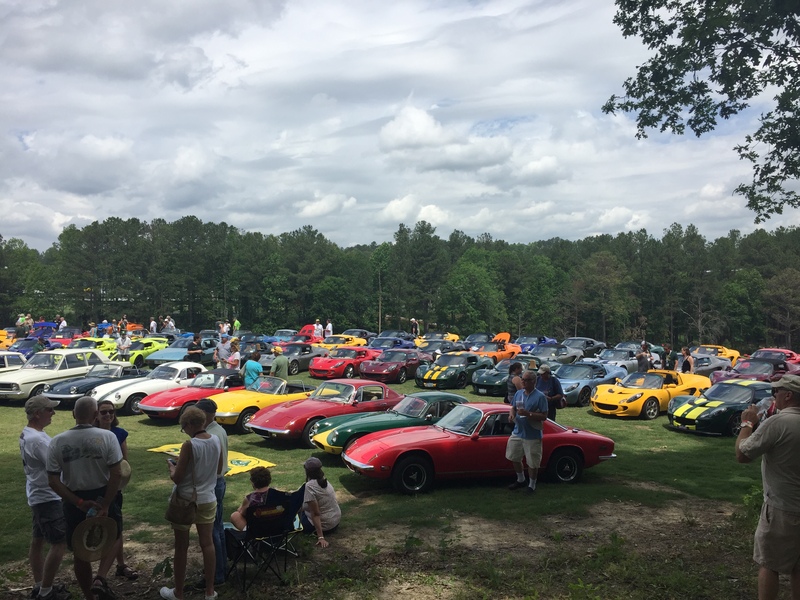 The annual Saturday banquet was a blast, as always, and took 2nd place for the Lotus Seven class in the concourse! Another added bonus of doing the presentation is the car got to spend the night in the ballroom while it stormed like crazy outside. Considering I didn’t have a car cover for it, and it’s an open top roadster, that was most fortuitous. I was a little worried about the hotel manager asking me to move it back outside, but that was easily solved by drinking copious amounts of liquor. You shouldn’t drive while intoxicated being the logical theme there, even if it is out of a ballroom and into the parking lot. The next morning I headed back to Atlanta weaving my way back between thunderstorms. I made it to the Alabama / Georgia border sometime mid-day and the sun was shining. Awesome – not far from home! I took a pic at the rest stop on I-20 just over the border and posted it to Facebook gloating at my success. I was promptly dumped on by a thunderstorm while stuck in bumper-to-bumper traffic 20 minutes later and soaked. Take it from me, don’t tempt fate, she’s a fickle mistress. So that was the LOG 37 adventure in a nutshell. I’m sure I’m leaving out a few details, but it was pretty awesome! In summary, I had two articles published, made a successful teaser-trailer that lots of people really liked, drove the Seven on its first road trip, drove the Seven on Talladega Superspeedway, took 1st place in autocross, did my first autocross, took 2nd in the concourse, presented on building the Seven to a group of car enthusiasts, drove the Seven through a thunderstorm, and made the cover of the Lotus ReMarque. All that because I built a car in my garage. Where are these stories when we’re at Barrelhouse?